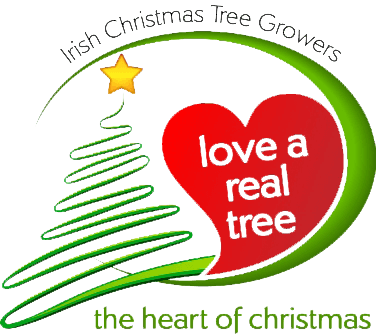 We're a grower so you can be assured you're buying the best locally grown Christmas trees in Cork. 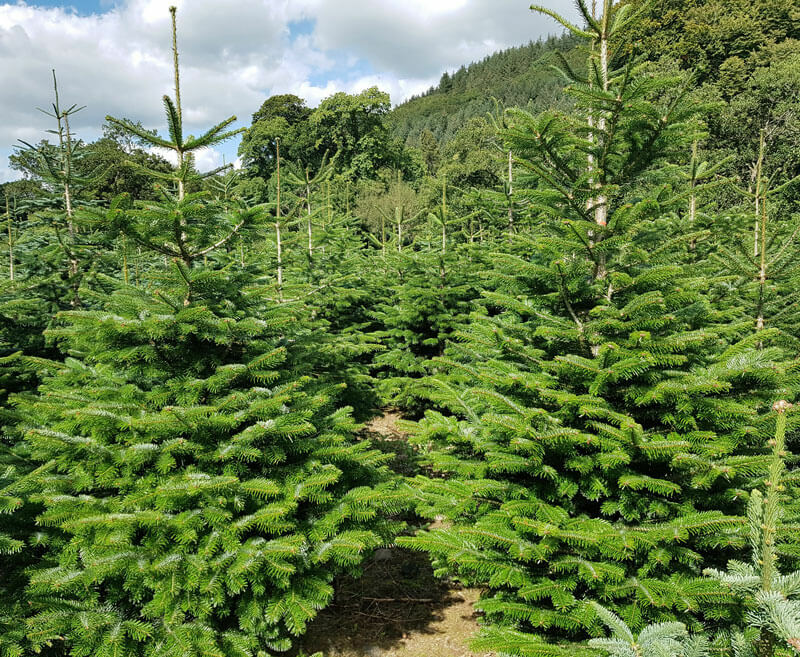 Open 7 days a week with a huge selection available in all sizes ranging from 3 ft - 25 ft.
Make it an occasion and choose from huge selection at our outlet on Centre Park Road. 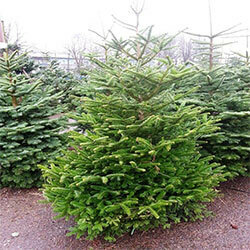 We can help you select from a huge range of top quality non shed Noble and Nordmann fir. 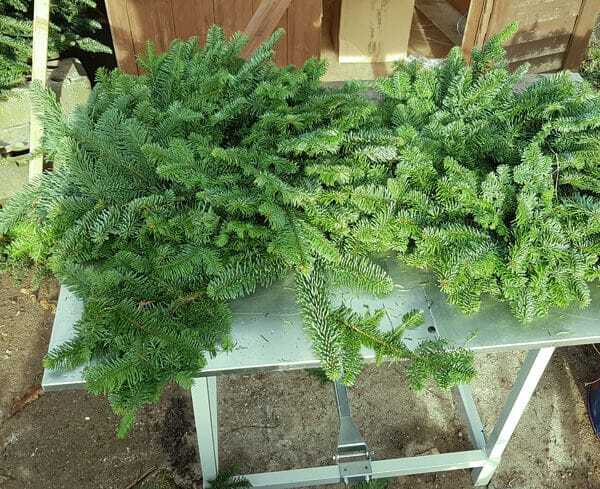 Our hand made real decorations are an excellent addition for your home or office. 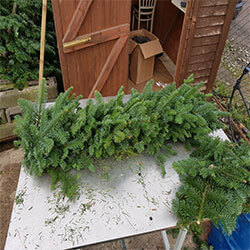 We supply wreaths and garlands using foliage from our Christmas tree farm. 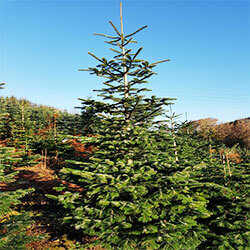 We grow and supply real Xmas trees in all shapes and sizes from 3 ft up to 25 ft. 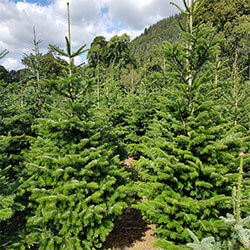 When should i Put my Tree up? This would depend on your room temperature and space. Traditionally around 8th December. How to Keep it Fresh for Longer? We recommend using one of our water holding stands and keeping away from heating sources. We can provide wrapping which will make it compact for travel in your car. We can also provide pairing and drilling with our machine to fit all stands. How it helps the Environment? 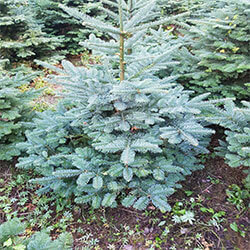 Take in carbon dioxide and other harmful greenhouse gases and release fresh oxygen into the air. 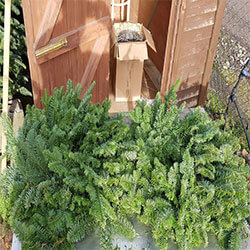 They also provide a refuge for wildlife.